tamtkpp, isti, Pimmsley and 1 others like this. My guess, 2415. Because there is no date. It could be 2416 with calendar under the dial. I think ???????????? shouldn't be used in manual watches. :) Caseback could tell us more. Meranom stainless steel crown will fit to any 24-series movements. ???????????? means Avtopodzavod means self-winding. Reply to my own message but here is a picture of choices. munichjoe and Confuse-a-cat like this. Are these any different than those for sale at Meranom? 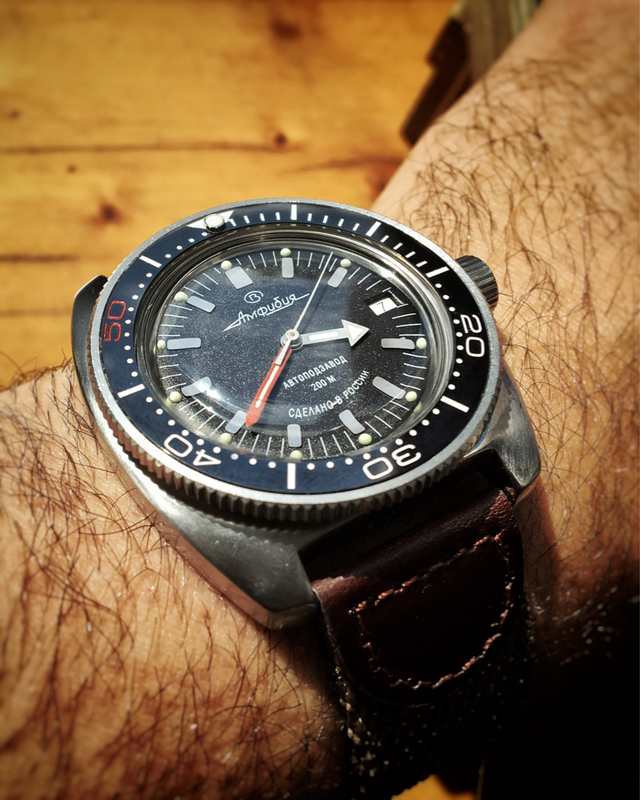 These are modeled by old Vostok bezel AFAIK and so are Meranoms. Colours are different and luming is better and done by Favinov. I think they are pretty much the same by shape and style. EDIT: Ordered, paid. Yuri is very quick in communicting. And by the way, I finally managed to put the clean bezel on :) Third try. Last edited by little_w; June 25th, 2017 at 12:49.
taimurkhan, isti, 6tffd and 3 others like this. Thanks for that. I was wondering if it would clear the crown. I have a 420 incoming from Meranom and will be changing the bezel so thought I may as well use it on my 119. I read that the 090 bezels don't fit the 119, is that due to them fouling the crown or some other issue? Looks good! Which bezels did you pick? Which watches will they be going on?